Social entrepreneur. Humanitarian. New York Times bestselling author. Co-founder of the WE organization, including WE Charity, ME to WE and WE Day. Since the age of 12, Craig has helped countless people around the globe lift themselves, their families and their communities out of poverty. 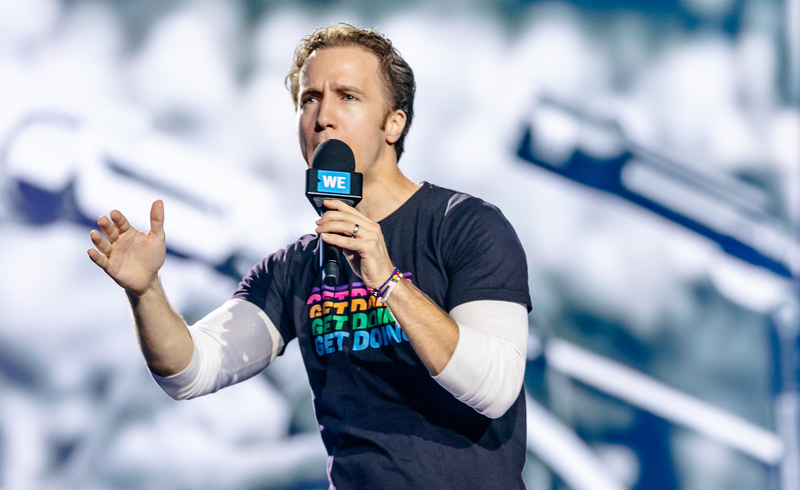 From co-founding a charity at just 12 years old to building a global organization, he has helped millions of people create positive change and connect with their purpose. 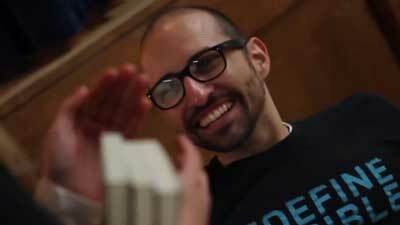 Today, he continues to motivate and empower others to change the world. As a powerful, internationally acclaimed speaker, he will inspire your group to take the steps toward making a meaningful difference. From speaking on profit and purpose to unconventional leadership, all of Craig’s five speeches will ignite the passion in your group to help make positive change. Each speech can be customized to fit your needs. 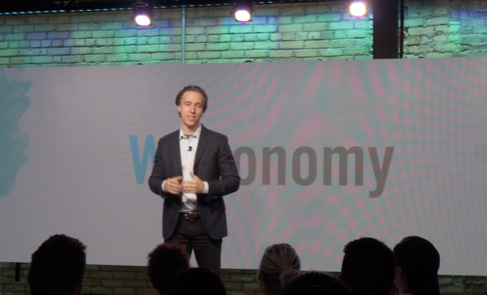 Craig discusses purpose and profit as the greatest human motivators, and how WEconomy is the definitive road map for bringing the power of both together—achieving purpose with profit in your career, company and changing the world. Based on the new and revolutionary book by Craig, his brother Marc and Holly Branson, WEconomy: You can find meaning, make a living, and change the world, Craig will share how to unleash purpose within your career, company and life goals. This compelling speech will help audiences of all stages in their career profit with purpose. 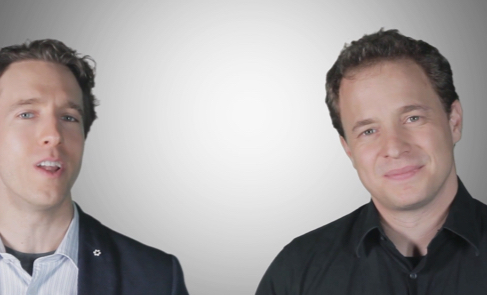 Craig will share his story about how he and Marc founded WE and how they grew from 12 kids in the suburbs to a global charity and community that raises $50 million a year. WE has partnered with some of the biggest companies in the world, helping them tap into their purpose, including KPMG, Unilever, Microsoft and Virgin. Craig will also share lessons from some of the charity’s biggest supporters—from world-class business leaders like Sheryl Sandberg and Sir Richard Branson to megastars like Oprah Winfrey and Earvin “Magic” Johnson who make the world a better place through purposeful and profitable business strategies. These cross-sector relationships aren’t just good for charity—WE partners are proven to gain increased brand recognition and intent to purchase. Add a halo effect to your product, grow your geographic reach, innovate for “the next big thing,” engage target audiences of all ages and much more! Audiences will walk away inspired and empowered with a road map of tips that can be implemented in the office today. From simple steps to a comprehensive plan, Craig will give them a tailored blueprint for living by personal values, achieving career success and changing the world. In this uplifting, inspirational and deeply personal speech that will touch audiences and make them laugh, Craig will share his moving story about how he started a movement to change the world. Great for all audiences, this speech will give them the tools to start making a difference today. Craig will share the story of when he was 12 years old and brought a newspaper clipping to class about a young boy in Pakistan who was killed for speaking up against child labor—starting a movement to change the world. His small, burgeoning group of twelve 12-year-olds set out to make a difference, leading him to Oprah Winfrey’s couch, where she vowed to help him build 100 schools and change thousands of lives around the world, including Craig’s. 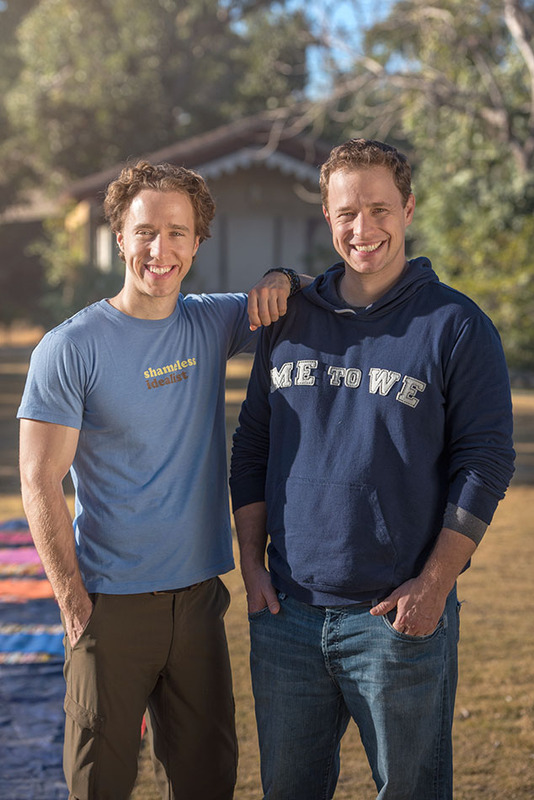 Over two decades later, Craig and his brother, Marc, are now the leaders of WE, an organization responsible for building thousands of schools globally and helping millions of people lift themselves out of poverty. In their two decades of humanitarian work, Craig and Marc have visited dozens of countries, meeting people from all walks of life—learning from some of the greatest leaders of our time, including Nelson Mandela and Mother Teresa, and sharing simple meals with families struggling in the world’s most poverty-stricken areas and war zones. Along the way, the brothers discovered a simple but profound truth—that anyone has the power to change the world, and real fulfillment starts with having the courage to reach out and help others. This highly interactive speech pushes the boundaries of traditional speeches with stunning videos, visuals and a customizable delivery, allowing audiences to pick the stories they want to hear. Craig shares actionable leadership lessons for any audience to implement in their work, education or personal life. Craig will share powerful stories and lessons of leadership that he and his brother, Marc, have learned from their mentors and some of the world’s greatest leaders, including Mother Teresa and Nelson Mandela. Craig will also share the story of his journey, from a 12-year-old starting a charity in his parents’ living room to becoming the leader of a global enterprise spanning five continents and employing over 1,000 people, and the stories that helped shape the strategic decisions made along the way. He will provide insights and lessons from the extraordinary leaders who have coached and mentored him, including lessons in taking big risks, accountability, emotional intelligence and being a shameless idealist. Unlike any discussion you’ve experienced before, this speech mixes inspiration with strong educational value. It features surprise gifts for participating audience members and stories from over 100 well-known Nobel Laureates, heads of state, industry giants and more, that the audience can choose from. Audiences will enjoy anecdotes featuring the extraordinary leaders who have coached and mentored Craig—such as Mohammad Ali—and leave with the advice, ideas and actions for creating personal and organizational change. 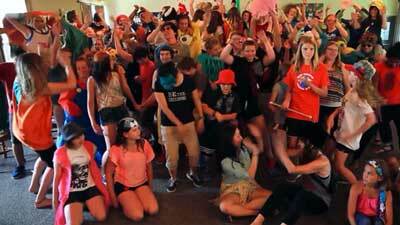 Raising kids in a complex, fast-paced social world can be challenging. In this speech, based on Craig and Marc’s international bestseller The World Needs Your Kid: Raising Children Who Care and Contribute, Craig will reflect on personal stories about his parents—both educators—and provide key insights on guiding children to be compassionate and engaged global citizens. This speech provides tips for guiding young people to be engaged global citizens, and is ideal for social workers, coaches, families, educators, communities, parents, caregivers, ECE workers and anyone who cares for children and youth. 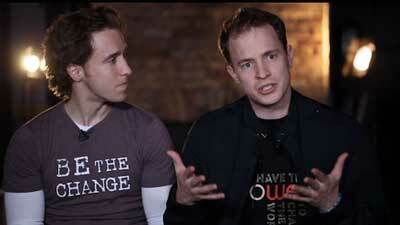 Craig and Marc Kielburger are experts in creating opportunities to engage young people in service-learning. 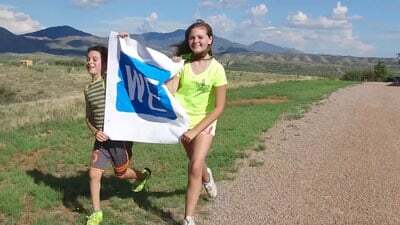 Through the WE Schools program, they engage over 25,000 educators and 16,000 schools around the world, and give young people tangible ways to make a real difference locally and globally. In this speech, Craig will share the tips and knowledge that he’s learned through extensive research, over 1,000 interviews with experts on mentorship and early childhood development, and 20 years of experience working with 16,000 schools engaged in WE Schools. These tips will have huge benefits that will not only help youth succeed academically, but also help them become leaders and active global citizens with an understanding of and empathy for the issues that face the world today. Thought-provoking and informative, this speech will inspire the next generation to find their place and change the world. Great for small groups or large audiences of philanthropic individuals, YPO families and Giving Pledge families. In the age where selfies and the “me” not “we” mentality are more prevalent than ever, how do parents raise caring and compassionate children, set them on a life path for success and start a family tradition of giving back? In this speech, Craig will share an insider’s perspective on empowering today’s youth and offer tips that will help families find their values to engage kids in philanthropy for a lifetime. 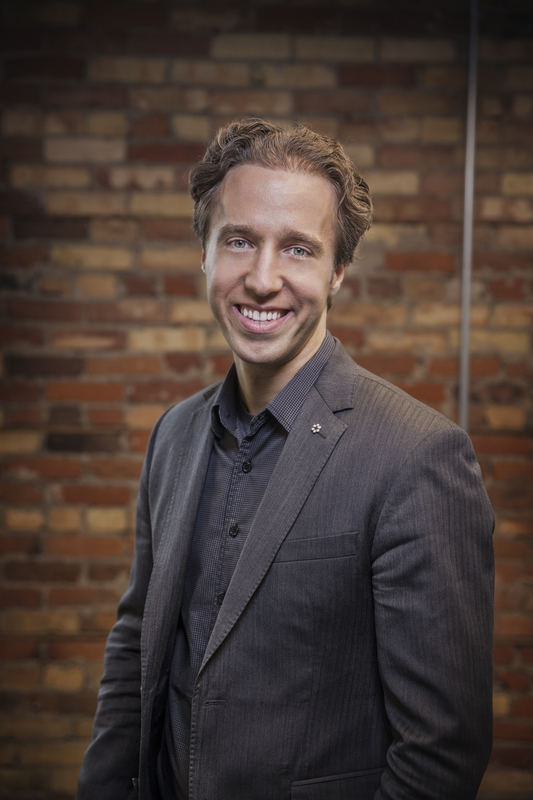 He has years of firsthand experience working with young people, a wealth of knowledge from research and interviews with leaders from the philanthropic and education fields, and has learned from expert partners such as Foundation Source. With his knowledge and experience, Craig will help give families the tools to inspire them to find their cause, rally together and set up young people to become stewards of their family’s legacy and be the next generation of change-makers today. 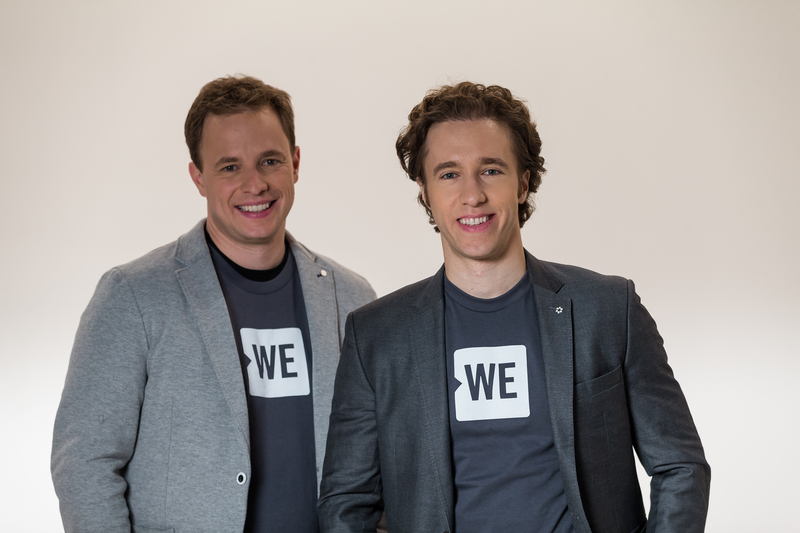 Marc (left) and Craig Kielburger (right), co-founders of WE. 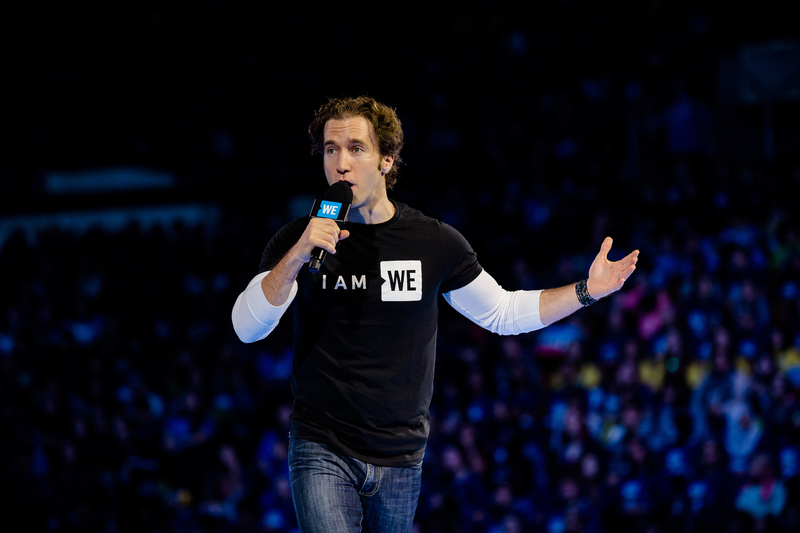 Craig Kielburger, co-founder of WE, speaking to thousands of young change-makers at WE Day. 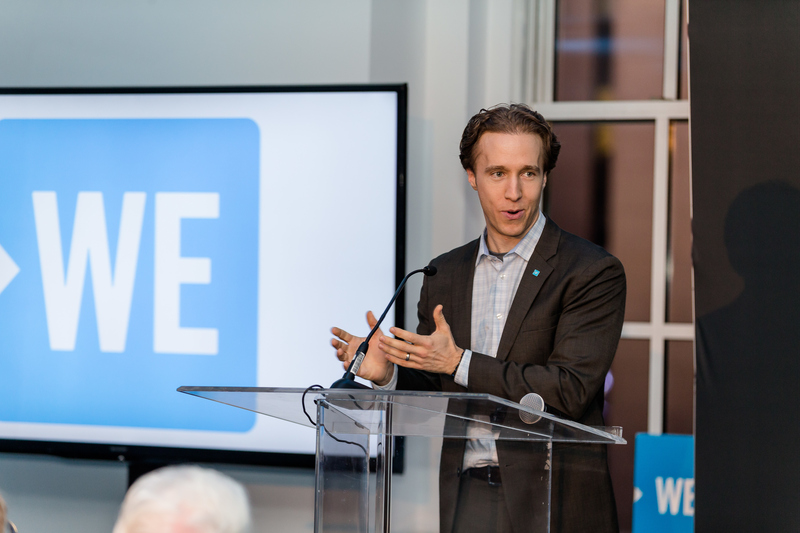 Craig Kielburger, co-founder of WE, speaking at an engagement. 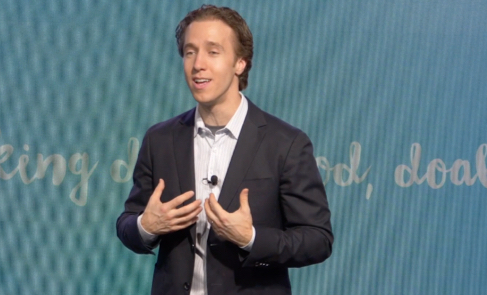 Craig Kielburger buildings a school in Kenya alongside Nobel Peace Prize winner Malala Yousafsai. Craig (left) and his brother Marc (right) visiting one of the WE Villages communities in India.